Fidel Castro, the leader of Cuba, died Nov. 25 at the age of 90. He reigned over the island-nation for five decades before turning over power to his brother Raul because of health issues in 2008. When he resigned, he was the world’s longest-ruling head of government. His ashes will be interred in Santiago de Cuba, where Castro announced victory of the Cuban Revolution. Castro was a controversial leader, with supporters praising him for his strict adherence to socialism, for rejecting American imperialism, and for improvements of education and health care under his rule. Critics, however, see him as a dictator, who plunged his country into impoverishment and whose administration was behind various human rights abuses. 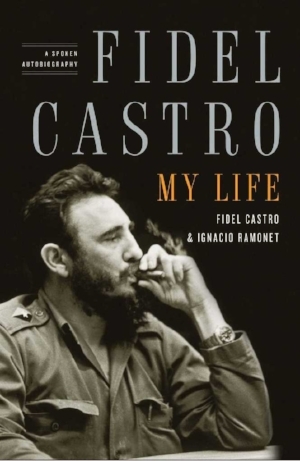 This “spoken autobiography” is based on more than 100 hours of interviews with the Cuban leader, as he stepped down due to health issues after five decades in power.